Art nouveau isn’t something which Paris is particularly famous for as people tend to think of Barcelona and Gaudi when they think of this artistic movement. 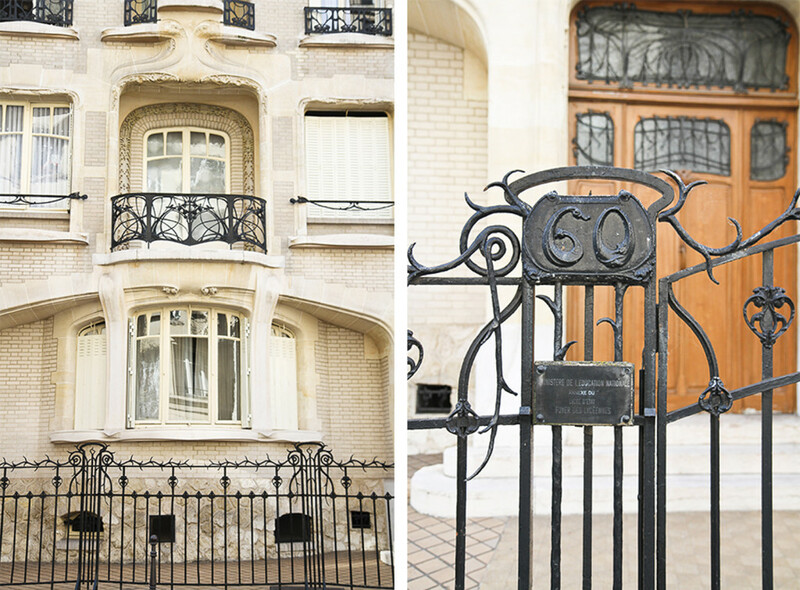 However Paris is also home to some stunning examples of art nouveau architecture. 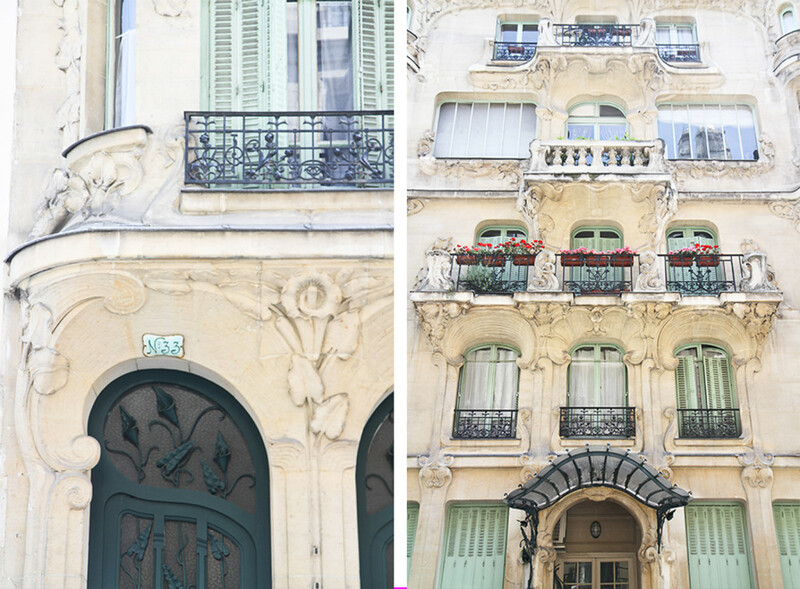 Whilst the Haussmannian architecture which dominates the city is beautiful and quintessentially Parisian, it’s fascinating to discover another side of Paris. The 16th district is full of beautiful examples of art nouveau architecture. It’s a residential quarter but one of the most exclusive and sought after areas to live in. 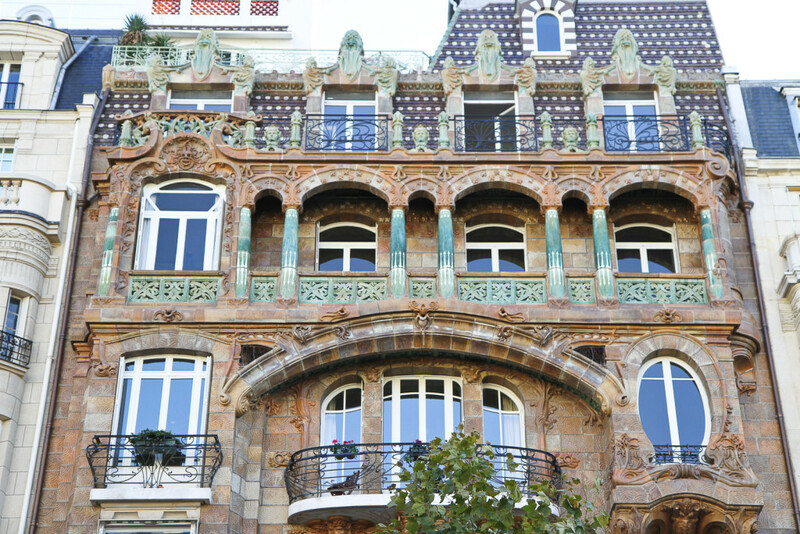 If you wander around the area you’ll pass endless art nouveau buildings. I would recommend getting off the metro at Jasmin and exploring the area on foot. 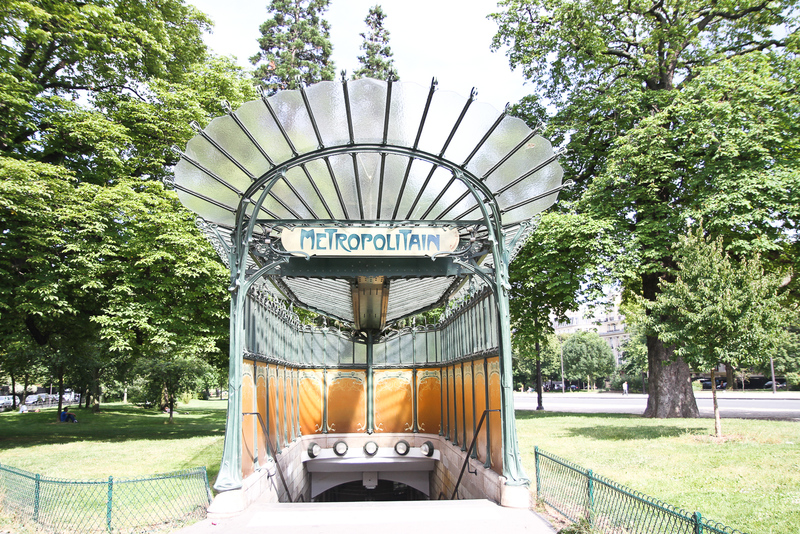 Guimard was a famed French architect celebrated namely for creating the metro signs as well as various impressive buildings in Paris. Castel Beranger is a beautiful example of art nouveau and is undeniably the most famous of his creations. It is a must see for any architect enthusiast. 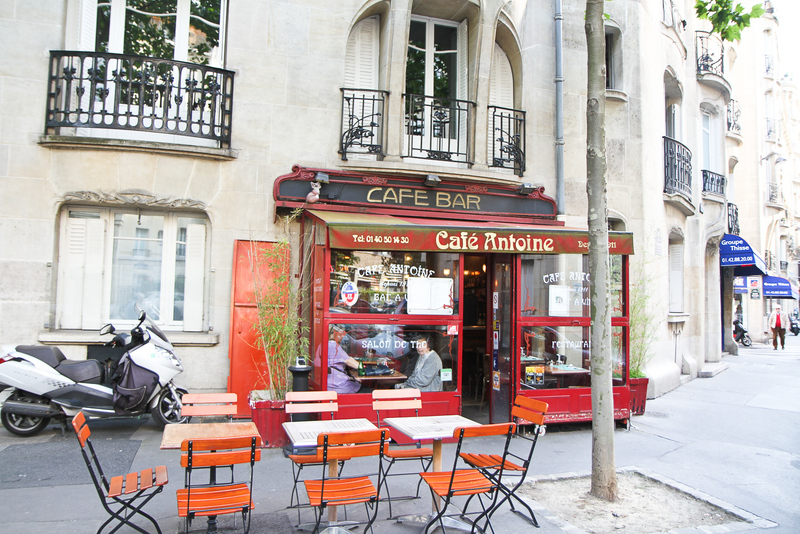 Café Antoine is located just opposite Castel Beranger and is a charming antiquated art nouveau café. 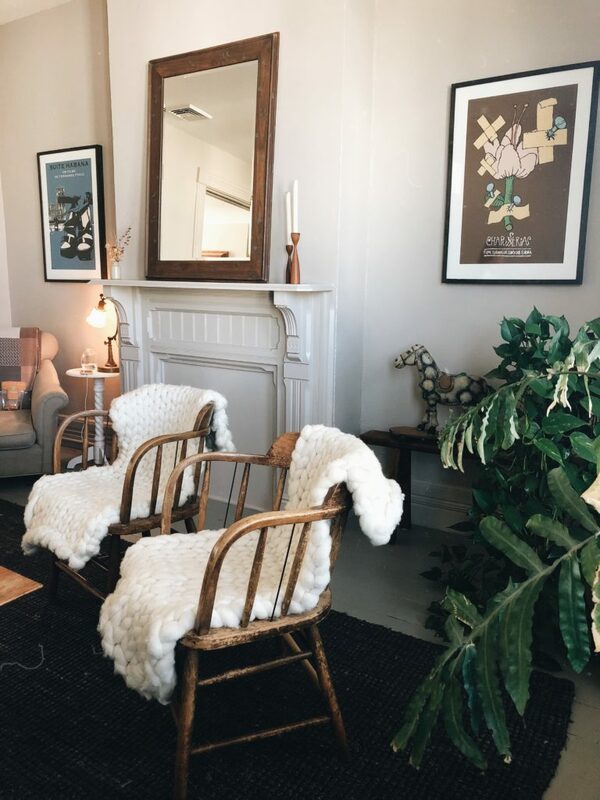 Stepping into this café will feel just like stepping into the Woody Allen film ‘Midnight in Paris’. The elaborate detail of this building is mesmerizing; it has been dubbed “the house of the lilies”, due to its lavish floral decorations. 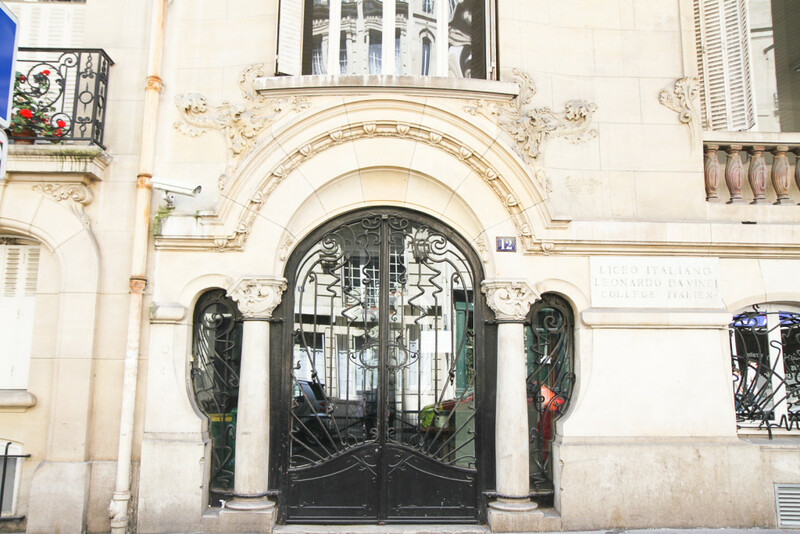 It was designed by the architect Octave Raquin and is one of many art nouveau gems located in the 7th quarter. 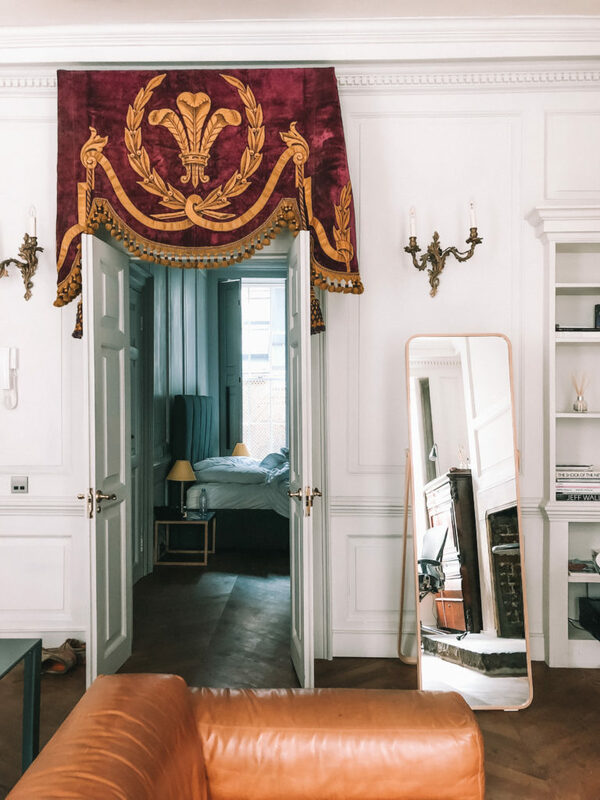 Around the corner, just opposite the Eiffel Tower lies another beautiful apartment which is as elaborate as it is eccentric. It’s said that there are hints to eroticism which can be seen in the detail. This hotel is located down one of the avenues off the Arc de Triomphe and has become iconic due its art nouveau exterior and detailed facade. This building was designed at the same time as the aforementioned Castel Beranger and the fronts of both the buildings look rather similar with their curves and metal doors. 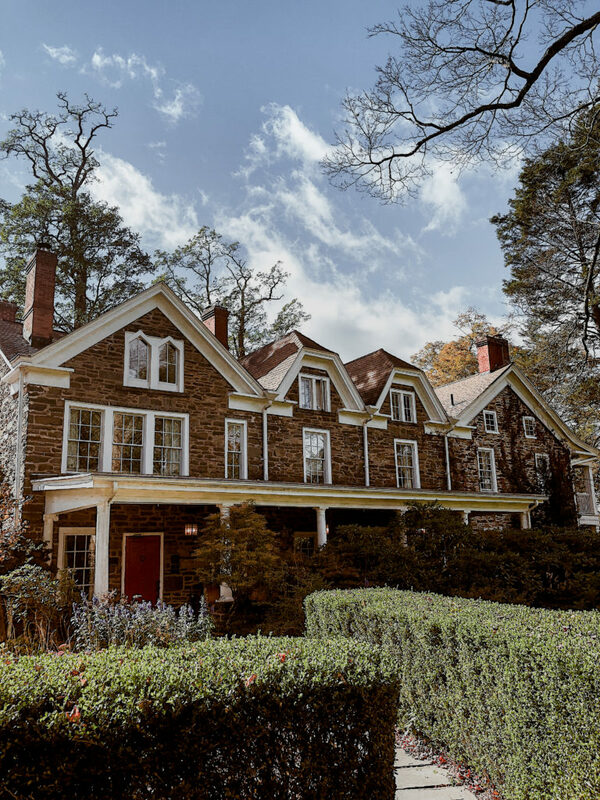 Designed by the architect Jules Lavirotte, this building is perhaps lesser known but shouldn’t be as it is a beautiful example of this architectural movement. The Abbesses metro station is definitely a sight to see. It’s a beautiful glass building with art nouveau details designed into the staircase, the metro sign and the shell-like shape of the glass. The whole square makes for a very pretty scene with a quintessential carousel beside the metro station and the ‘I Love You’ wall just behind. Port Dauphine isn’t very centrally located and there isn’t an awful lot nearby but it’s worth visiting for the metro station alone. It’s the most striking metro station in my opinion. It isn’t too dissimilar in design from the Abbesses station but it’s more colourful with its vibrant orange hues and intricate paintwork. 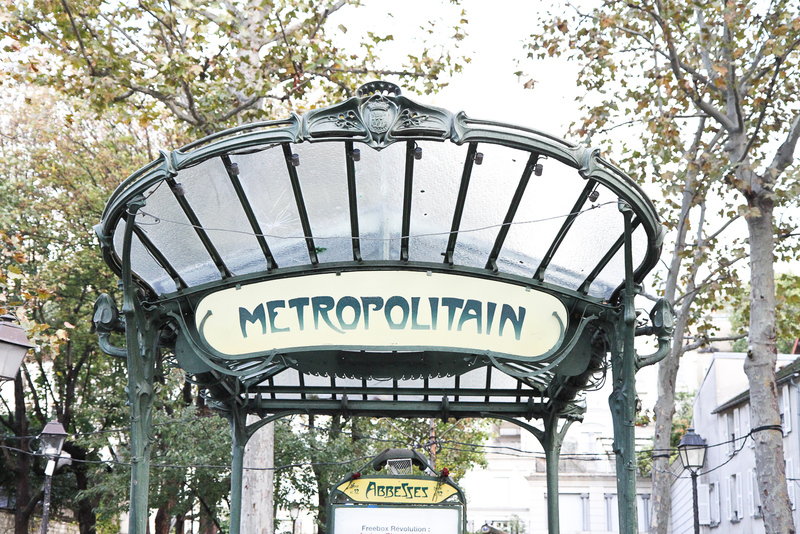 There are dozens of art nouveau metro signs in Paris, with a font typical of this movement and floral lampposts to the side. 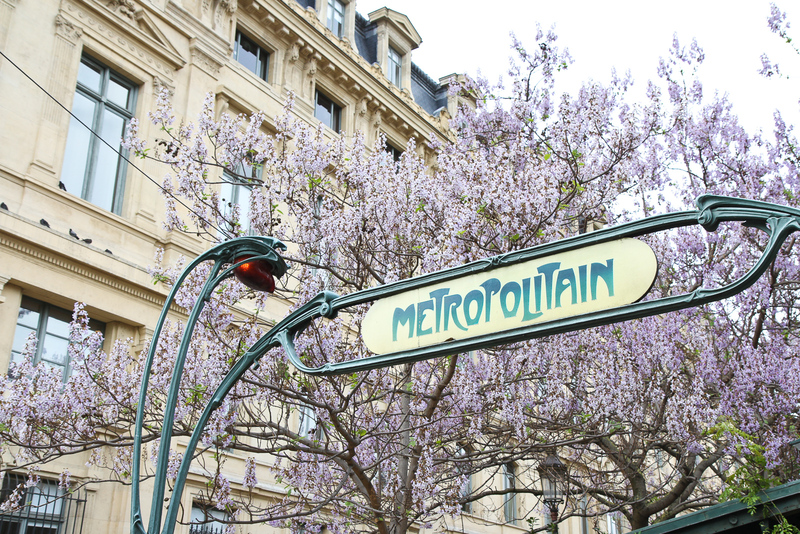 The metro sign at Cité is particularly pretty in the spring as the lilac wisteria grows behind it. Hi guide can you tell me how much price to visit this place for 4 days tour??? I’ve never really thought about experiencing this side of Paris. I always just think really historical buildings and old art rather than art nouveau! The more I read your posts about Paris the more I realise there is so much more to see! 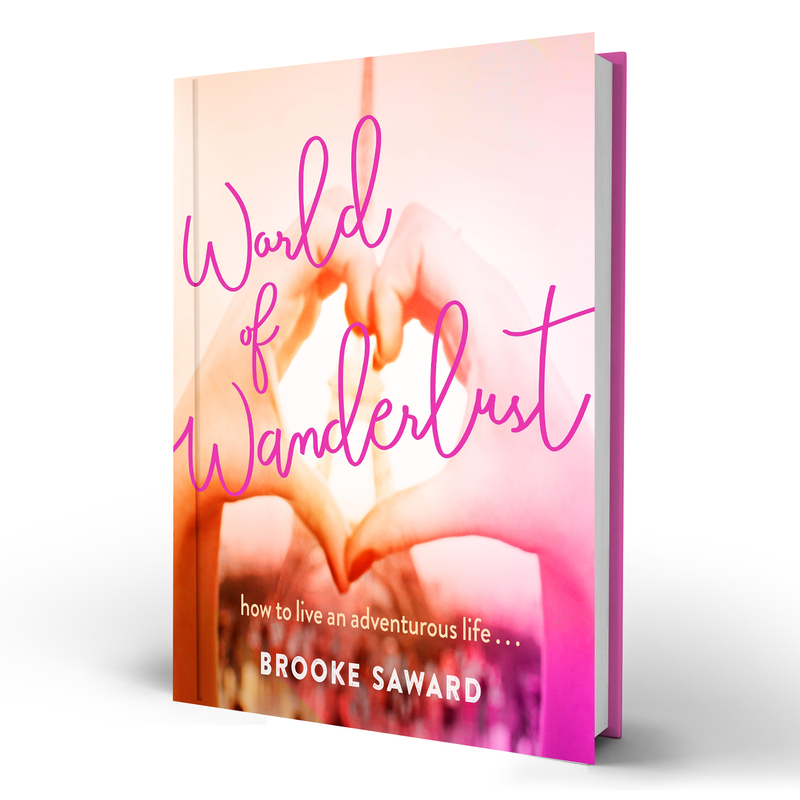 Beautiful photos and a great guide! Love the art nouveau style and how it pops up in sometimes the most unexpected places. 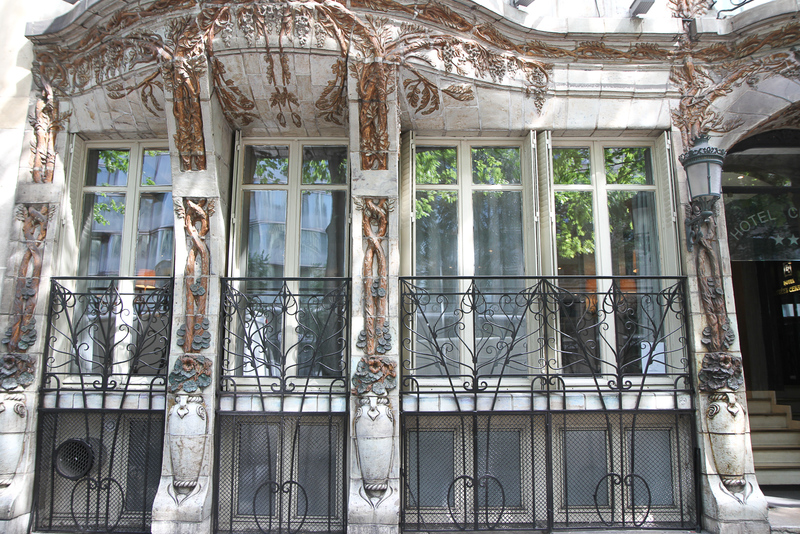 There is a lot of Art Nouveau in Prague – but it is wonderful to see the details you captured in Paris! Great photos! 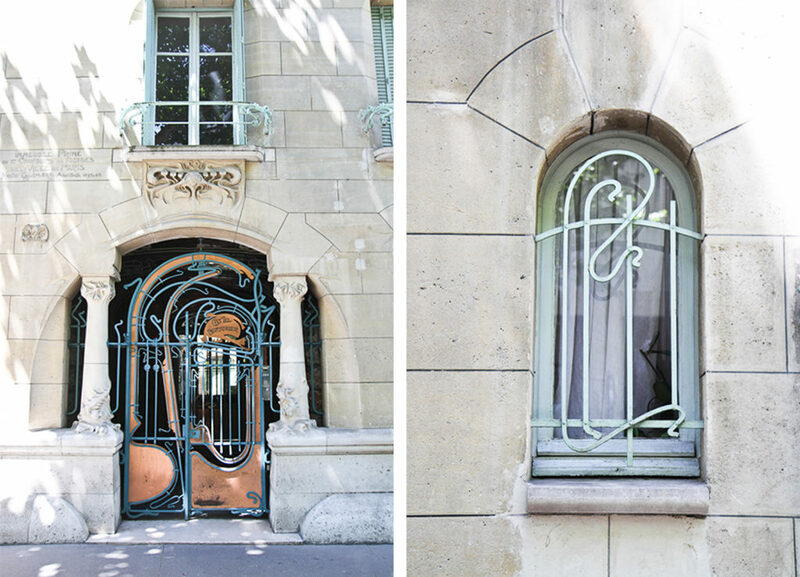 Thank you for showing us this existed in Paris too:) I like Art Nouveau style!